In 1968, a group of young photographers published the first issue of the aptly named Provoke journal, an avant-garde magazine of experimental photography. The creators of Provoke included photographers Yutaka Takanashi and Takuma Nakahira, critic Koji Taki, and writer Takahiko Okada. 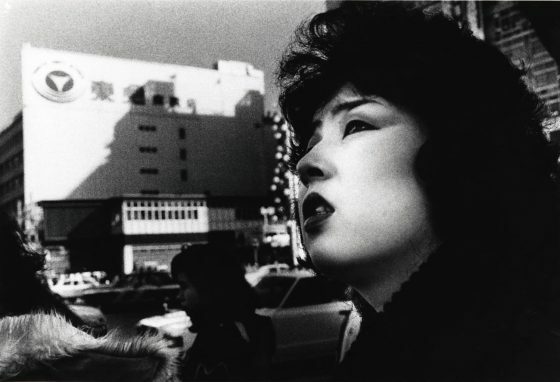 One of the movement’s most famous photographers, Daido Moriyama, joined the group for the second issue. Only three issues of the magazine were ever released, but Provoke was to have a lasting effect on photography, both in Japan and internationally. We’ve laid out five key aspects of the magazine and the photographic movement that formed in its wake. Provoke was born of its political environment. 1968 was a year of huge social and political unrest in Japan. Exceptionally rapid post-war industrialisation and urbanisation led to the upheaval of Japan’s traditional social structure and values. As they tried to get used to a changing way of life and increasing westernisation, many people felt their civil liberties were being oppressed by the government’s policies. Japanese students mobilised themselves in “Zengakuren”, sectarian protest groups joined by both university members and workers. Students occupied their campuses and armed themselves against the police in a move to demand more intellectual freedom. In October 1968, tens of thousands of protestors rioted in Tokyo’s Shinjuku Station, fighting in the name of democracy and freedom, and against the war in Vietnam (the United States still had a number of military bases in Japan). Although the riots were successfully calmed, they left their mark on the political landscape and produced a generation of politically active individuals. For the founders of Provoke, the magazine offered a subversive form of protest. Provoke didn’t align itself with a specific political message; instead, it used its revolutionary format and aesthetic to challenge the norms and traditions of contemporary Japan and to provoke democratic discussion through photography. The Provoke journal and its photographers offered a subversive vision of life at the margins. They achieved this by adopting a radical new aesthetic called “Are, Bure, Boke”, which can be roughly translated as “grainy/rough, blurry, out of focus”. By capturing images that embraced amateur-style snapshots and the margin for error inherent in analogue photography, the Provoke photographers created a new visual code which was shockingly at odds with the emphasis on technological precision promoted by the Japanese economy. Provoke was concerned with capturing reality, but only in a “fragmented” form. Through this relatively modest aim, they were able to show that the “real” didn’t necessarily mean something “scientific” or “documented”, but could be something hinted at, something emotional, political or situational. Proponents of the Provoke movement believed that reality and our experience of it is inherently fragmentary, and that photography’s ability to capture fleeting moments made it the perfect medium in which to express this idea. These photographers privileged the role of the individual (and implicitly male) photographer as a conduit for seeing the world, rather than presenting the collective viewpoint of the protesting groups within Japanese society. Provoke was groundbreaking in the way it presented the subjective viewpoint of the photographer (who can be seen simultaneously as a characterful persona of the individual artist and as a generic everyman figure) as a valid and authentic way of seeing the world. For Moriyama, and for other photographers of the Provoke movement, photographs were liminal process-driven creations that existed at the margins of documentation, language and art.